A dream is an especially difficult thing to describe and dreams aren’t concrete until they come to pass. Before then they are like clouds and when both of us look at a cloud you may see one thing while I see another. And the picture you see in one moment may quickly change when the first wind comes along. As time goes by-a day, a week, or a year-you may not even remember what you saw. That’s why they say one way to make you dream more concrete is to write it down the second it comes to you because it can flee as fast as it comes. When it comes to giving voice and life to their dreams most people need some help. Roy Orbison is an American singer-songwriter and he is well-known for his distinctive, powerful voice, complex compositions, and dark emotional ballads. 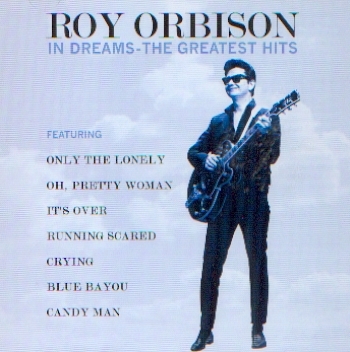 The Words To Roy Orbison’s song “In Dreams” for the ones we love and are gone. In Dreams a candy colored clown they call the Sandman. Tiptoes to my room every night just to sprinkle star-dust and to whisper: ” Go to sleep, everything is alright” I close my eyes then I drift away into the magic night. I softly say oh, smile and pray Like dreamers do. Then I fall asleep to dream my dreams of you, in dreams…I walk with you. In dreams…I talk to you. In dreams your mine all the time we’re together In dreams… In dreams. But just before the dawn I awake and find you gone. I can’t help it …I can’t help it. If I cry. I remember that you said goodbye to end all these things and I’ll be happy in my dreams. Only in dreams in beautiful dreams I love to dream especially when I have a beautiful dream about someone I love. Don’t you?